These full-color 12-month wall calendars come in two sizes, and can be shipped directly to you, or to others as gifts. 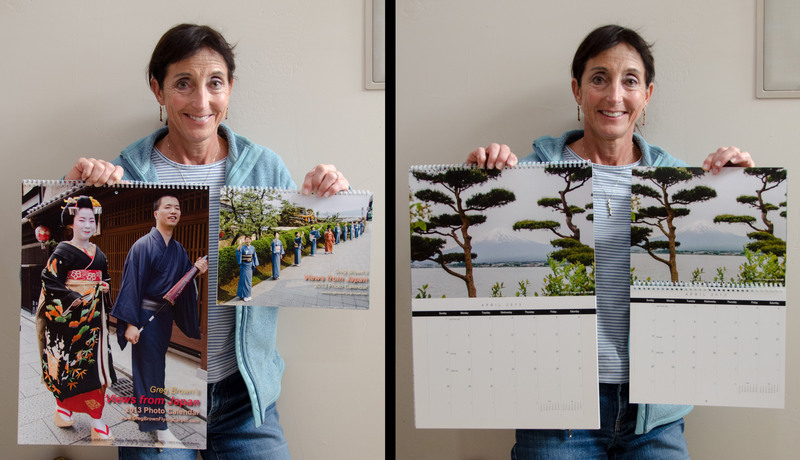 The Premium and Standard calendars are similar except for image size and cover photo. This year’s Japan calendars contain the same wonderful images as last year. Greg, would it be enough time to get a Japan calendar for my Japanese Teacher and also Tomomi? If yes, please order two for me.